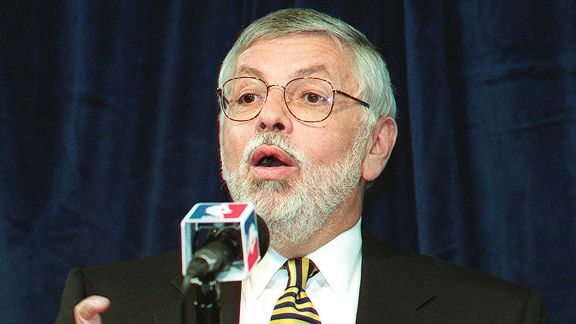 We’ve been waiting for over a month now for the triumphant return of David Stern’s lockout beard from the NBA’s 1998-99 labor impasse. Still nothing. Not even a lockout five o’clock shadow. At least we got some exciting legal news Tuesday when the league launched a two-pronged offensive against the players. By filing a lawsuit in federal court and a complaint with the National Labor Relations Board, the league hopes to have thwarted the players’ next move before the union has even taken it. Sound confusing and convoluted? It is. First, the federal court filing essentially accuses the players of repeatedly threatening to undergo a sham decertification so it can challenge the lockout on antitrust grounds. As you’ve probably noticed, the NBA has all sorts of weird labor rules that aren’t present in most workplaces. Rookies go through a draft rather than picking their first jobs, and all players have their earnings potential limited by the league’s salary rules. Ordinarily, those kinds of restrictions wouldn’t fly. However, as long as these practices are part of a collective bargaining agreement with the players’ union, they’re perfectly legal. There’s a catch for the owners, though. If the union suddenly stops existing, the aforementioned antitrust exemption goes out the window. Players would then be free to bring antitrust lawsuits against the league to end the lockout. (If this scenario sounds familiar, it’s because the NFL’s players did just that in March.) Because moving the entire fight to the antitrust front would be an expensive loss for the owners, the option of decertifying and heading to court gives the players a nice bit of leverage. The league’s filing on Tuesday is a potentially clever first strike to remove this decertification bullet from the union’s gun. In the filing, the league asks the court for a declaration that the lockout doesn’t violate antitrust laws. If the courts agree that the league isn’t violating any antitrust laws at the moment, that ruling would effectively preempt the players’ ability to file an antitrust suit to end the lockout. Point: Stern. More aggressively, the lawsuit asks the court to declare that a union decertification would void all existing contracts. The league’s logic is basically that if the union disappears, so should all of the deals that were signed under the previous CBA. Whether this contention would hold up in court remains to be seen, but as threats to players go, it’s tough to beat “Hey, every overpaid guy signed to a long-term deal! How’d you like to have your contract voided?” Somewhere, Gilbert Arenas trembles. But wait! The league wasn’t finished. It also filed an unfair labor practices complaint against the players with the National Labor Relations Board. The league says that the players aren’t bargaining in “good faith.” The owners argue that the players’ unreasonable requests and threats to decertify the union run afoul of the National Labor Relations Act. What makes this news even more exciting (if you’re a labor lawyer, anyway) is that the players’ association filed its own complaint with the NLRB back in May. The charge? You guessed it: negotiating in bad faith. The players’ complaint alleged that the league was making excessive demands for things such as salary rollbacks that it knew wouldn’t be acceptable to the union. In other words, both sides have told the NLRB that the other is an unreasonable bunch of jerks. The five members of the independent federal agency’s board now have to decide if either claim has merit. Don’t hold your breath waiting for a resolution to either complaint, though. It could take months. The NLRB doesn’t rush to render its decisions; the players’ complaint from May hasn’t received a response yet. Getting a firm resolution on either of Tuesday’s actions will likely require extended legal wrangling, and the owners and players could well strike a lockout-ending deal in the interim. In the meantime, NBA beat writers should probably start polishing up their best legal court/basketball court puns.